Santee’s “Starlight Circle,” and El Cajon’s “Jingle Bell Hill” are two of the most popular light displays in all of San Diego County. Each year, people flock to these quaint neighborhoods to bask in the awe-inspiring light arrangements. 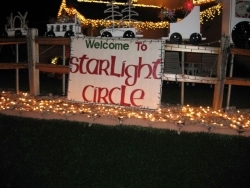 Located off of N. Magnolia Ave. on Tomel Ct. in Santee, “Starlight Circle” has become a hot spot for patrons looking to revel in the holiday spirit. Patrons can drive through the neighborhood but are encouraged to get out of their cars and walk around, as many homeowners stand in front of their homes serving snacks like hot chocolate and kettle corn. “I do this because it is the holiday spirit,” says homeowner David Mace, who stands outside of his home serving hot chocolate to those walking through the neighborhood. Located on the border of Santee and El Cajon on Lindenwood Dr, right on the intersection of Pepper Dr. and N. Mollison Ave, “Jingle Bell Hill,” has been a staple in East County during the holiday season for years. As with “Starlight Circle,” those wishing to ogle the lavish light displays are able to enjoy from their vehicles but many choose to walk through the neighborhood. On Friday, December 17th, “Starlight Circle” will be putting on a food drive for families in need during the holiday season. Those looking to enjoy the lights and bask in the Christmas spirit at “Starlight Circle” can do so from 6-11 pm every night until December 26, while “Jingle Bell Hill” allows patrons to enjoy their lights from 5-10 pm through December 31. Along with these two large neighborhoods, Christmas light enthusiasts can also bask in the holiday spirit in Spring Valley on Moorpark St. and some adjacent roads, directly across from Monte Vista High School off of Sweetwater Springs Rd. This light display has been up in years past and we expect this year to be no different. Smaller but just as extravagant light displays can be seen annually at a large Victorian house on St. Onge Dr. in La Mesa, not far from Costco. 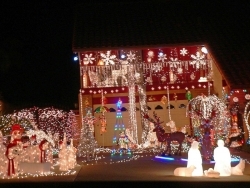 Kildare Way in Santee, just off Fanita a few blocks from Grossmont College, also has some creative lighting displays; though only a few houses put up lights, they are in no way less festive. 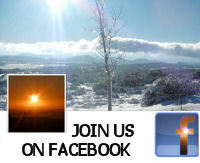 To tour the holiday light displays in East County, view our map.